Without doubts & arguments, Gbenga Adenuga can be dubbed as one of Nigeria's finest gospel music stage performers, song writer, energetic singer and extraordinary songwriter. And not forgetting, an anointed worshiper. With a unique sound that would move your spirit to sing and dance in the Holy Ghost. He is the mastermind behind several popular singles making rounds on radio stations around the country, the likes of "E Be Like Say" , “You Make Me Wonder" and lots more. 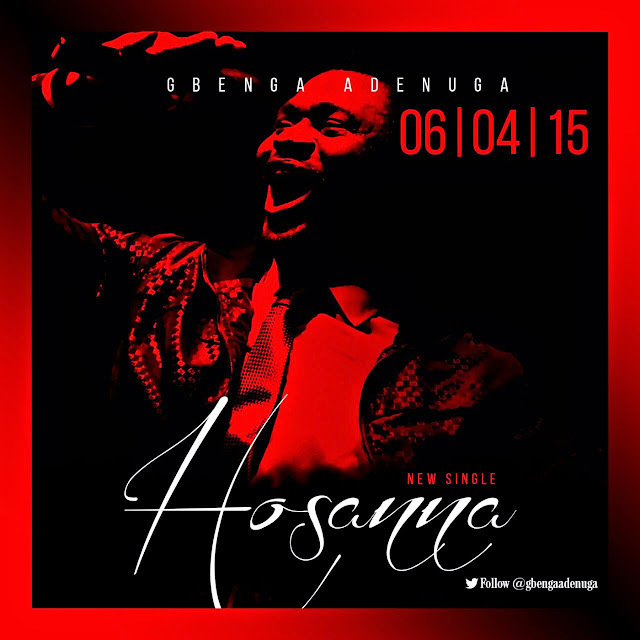 Talking us to another level, Gbenga debuts his new single and latest offering to the Kingdom of God, Hosanna. Hossana is a song of gratitude and praise to the Monarch of the universe for His unending & unconditional love towards His children. Hossana is a simple praise song you are familiar with, but with Gbenga’s mastery & delivery the song turns out completely different and fresh.